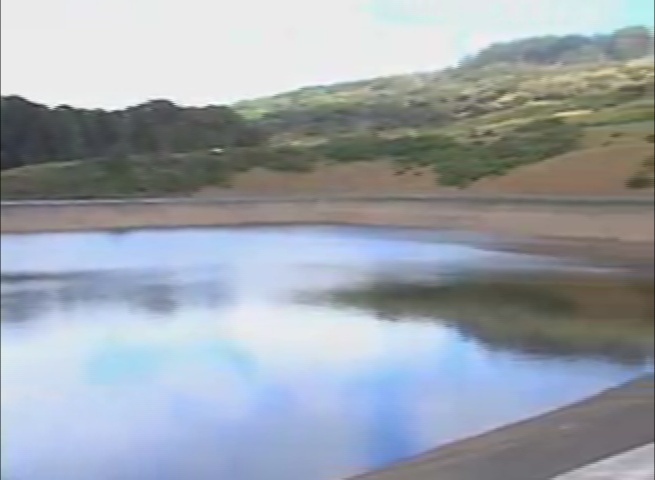 For the months of February and March, customers in Upper and Lower Kula are asked to conserve water because the Department will be without a 2-million gallon storage supply at a critical point in the water distribution system. Effective Monday, February 1, 2010, the Department of Water Supply will switch the distribution system disinfectant at the Olinda Water Treatment Facility (WTF) from chloramines to chlorine in preparation for the Omaopio Tank roof replacement project in Kula. This affects the Upper Kula water system only. 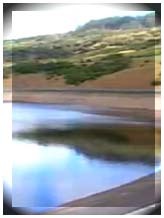 Chlorine is the same disinfectant used in the Lower Kula and Makawao water systems. Upcountry water storage. File Photo. By Friday, February 5, Upper Kula customers may notice a change in water quality because chlorine has a slight taste and smell. This is normal and poses no health risk. County officials say the water meets all federal and state water quality standards. For kidney dialysis patients: The processes already in place to remove chloramines in the water will remove chlorine. No change or adjustment is needed, and at the end of March, the department will switch back to chloramines. For fish tank owners: Filters that remove chloramines also remove chlorine, so no change or adjustment is needed. For fish tanks without filters, customers may want to let the water sit for a few hours so the chlorine can dissipate. Contractor M&M Tanks Inc. will replace the roof of the Omaopio Tank, which involves removing the existing roof, tank modification, and installation of a geodesic aluminum dome roof on the 2-million gallon tank. The new roof will be similar to the dome roof installed on the Mokuhau Tank in Wailuku and on the Kahului Tank. The project should be completed by the end of March 2010. 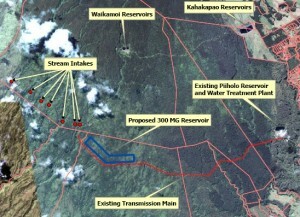 The Kamole WTF in Haliimaile, the Piiholo WTF in Makawao, and the Poâ€™okela Well in Makawao will supplement water for customers in the Upper Kula water system. The cost of the roof replacement project is $980,000. The Omaopio Tank was built in 1977. This project was originally scheduled for October 2009 but was postponed due to drought conditions.